Need an Email Writing Service? We Got You Covered! Technology evolves so much faster than it used to and digital marketing is no exception. Martech grows more and more sophisticated, people’s behaviors and preferences change alongside those technological evolutions, but there’s one thing that seems to stand the test of the time when it comes to digital marketing. Content is ultimately the most bang for your buck so to speak, but email marketing remains one of the most effective ways of getting sales. Email marketing is older than you think. It actually just turned 40 this year, with the first recorded use of email marketing being in 1978 when a marketing executive at Digital Equipment Corporation sent an unsolicited pitch to 400 prospects. Per Marketing Land, it resulted in a several privacy complaints but also $13 million in sales. The publication also says that email marketing still accounts for at least 20% of the average company’s sales so while it seems outdated and analog next to these newfangled methods like chatbots and delivering content to smart devices, email marketing’s still highly effective. The main advantage email has over other types of marketing is that it’s already captured the attention of someone who’s already a customer or very interested in giving you their money. Here’s what you need to know about how to make email marketing really go to work for you. Ordering email content ahead of time is a smart use of your marketing budget, especially for drip campaigns and anything else that takes a long game approach so you can pre-load the emails and automate when they’ll go out. This way, your time isn’t taken up with this task and you can focus on more nuanced aspects of your email marketing strategy while a skilled writer gets the actual email content finished. When you’re asking a freelance writer to create email campaigns in advance for you, they need relevant information as to what your intents are. Obviously, you want to make money but is there a specific reason this email is going out? If you’re using that email to promote a specific product or sale or have plans for a drip campaign throughout a time-sensitive period like holiday shopping, the writer needs to know this so they can get the tone and calls to action done correctly the first time. If you also plan on incorporating personalization into your email campaigns given the higher likelihood of success that they have, you should give the writer the correct tags to put the subject and/or body like “Hi [FirstName, “customer” if unchecked]” so you don’t have to do this yourself later. You can have well-crafted email messages accompanied by gorgeous images but it’ll be all for naught if you don’t have a punchy subject line that gets peoples’ attention. Just like how most forms of content marketing need to have an eye-catching image in order to get clicked on, the same is true of an email’s subject line. Personalize based on user input when appropriate, but also make that subject line compelling without sounding spammy or gimmicky. In 5-6 words or less, why would this subscriber open the email? That’s what your subject line and preview text (seen in the inbox sort of like a meta description) need to communicate. Email marketing is definitely not a dying art but people have become more selective about the messages they open and interact with. 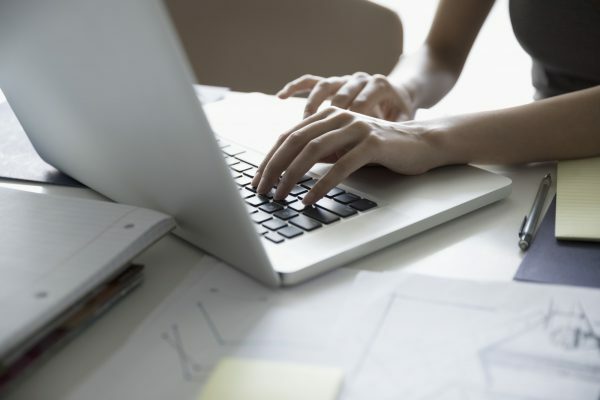 A strong writer can do the heavy lifting for you while you focus on your email marketing efforts’ greater goals but only if you provide adequate direction for tone and intent.